Grill, Powder Coated Cavity, Digital Display, Multi Stage Cooking,Set upto 3 stages of cooking at a single go. 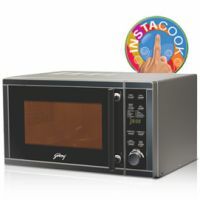 The Godrej GMX 20 GA5 WKM comes with many convenient features. There are 6 different power levels is been provided that acts in accordance with the necessity of the cooking process of your choice. 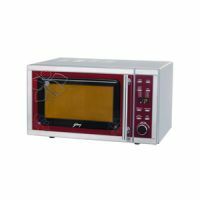 This microwave from Godrej also comes with express cooking feature which is very useful especially when you have to prepare food after a long time, as the Microwave oven cooking is done without setting the power and time. 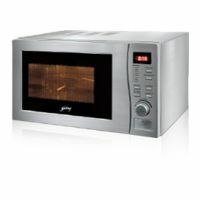 The jet defrost function saves time by using microwave power to defrost frozen food by just setting the time. To Recieve updates and possible rewards for Godrej GMX 20 GA5 WKM please sign in. To Recieve updates and possible rewards for Microwave please sign in.